Providing Small Business Website and Internet Marketing Services! Looking for an affordable experienced web designer for your small business? 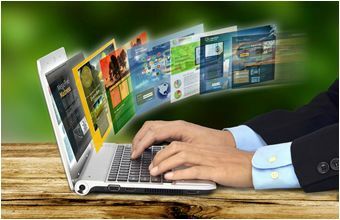 My Discount Websites has designed thousands of custom websites for small businesses across the country. With decades of experience in website design and development, we are the best choice for small business internet marketing. We don't outsource our work to other counties either, we are a proud U.S. based company. To view some of our websites, click on "website portfolio" for some samples. From customized responsive websites, professional printing materials, logo design, graphic design, online/offline marketing to complete business branding and everything in between, My Discount Websites is the professional marketing company to help your small business succeed. With more than 20 years of online marketing experience and over 40 years of offline guerrilla marketing under our belt, our company has both the technical skills and the real world experience to teach you what you need to know to reach and persuade potential customers quickly and efficiently, with cost effective solutions that make sense. My Discount Websites specializes in unconventional, localized, small business guerrilla marketing tactics. We achieve the results other marketing firms, advertising agencies and search engine optimization firms can't, and for a price that's a fraction of what they charge. We believe that our websites are better looking, more affordable and more user friendly than any other websites on the internet today. Dollar-for-dollar, our websites will out-perform every other website on the block. We will go head-to-head with any company on the planet that says that they can get your website to the 1st page of Google faster than we can. Our average SEO-structured website can be be found on the 1st page of Google in under 2 weeks...and not by using pay-per-click like the yellow pages or every other so-called "SEO Company" down the block. Your website will show up in the natural listings, for the terms you want and in the exact area you want to show up in...not Australia or China...your neighborhood. So call us today for a no risk, no pressure free consultation. We'll give you all the facts without all the technical jargon. What makes My Discount Websites better? © Copyright 1999 My Discount Printing & Websites, LLC. All Rights Reserved.